California’s Fallbrook Union Elementary School District has entered into a new partnership with Discovery Education, a provider of digital content and professional development for K–12 classrooms. This new collaboration will provide educators district-wide with the digital resources and PD they need to create modern learning environments designed to engage all students. FUESD serves students in transitional kindergarten through eighth grade at nine school sites, including two schools at the U.S. Marine Corps Base Camp Pendleton. All district educators will soon begin integrating Discovery Education’s Science Techbook and Discovery Ed Streaming Plus into classroom instruction. 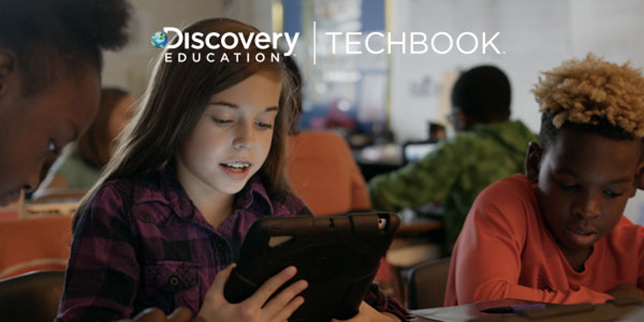 Also, fifth through eighth-grade educators will begin incorporating Discovery Ed’s Social Studies Techbook into teaching and learning and sixth through eighth grade educators will use Discovery Ed’s Math Techbook to support math instruction. In addition to gaining access to Discovery Education’s digital content services, educators at the district’s Fallbrook Street Elementary School will also become the first teachers and administrators in California to participate in Discovery Ed’s STEMformation initiative. A comprehensive, three-year system of PD, STEMformation is designed to help educators strengthen and sustain a culture of STEM at individual school sites and guide educators as they master STEM instructional strategies. With a focus on developing high-quality STEM lessons, creating transdisciplinary lessons and units, and vertically aligning STEM education school-wide, STEMformation aims to provide the PD, job-embedded coaching and administrative leadership support necessary to create a center of STEM excellence. To ensure each FUESD teacher is supported throughout the transition to digital teaching and learning, Discovery Ed experts will provide district educators with PD opportunities that should help them maximize their new hardware and digital content to improve students’ academic achievement, according to a news release. In addition, the Discovery Education Community, an international community of education professionals, will support FUESD educators with social media, virtual conferences and in-person events, the release said. For more information about the Discovery Education Techbook series, Streaming Plus or other services and resources, visit the company’s website.